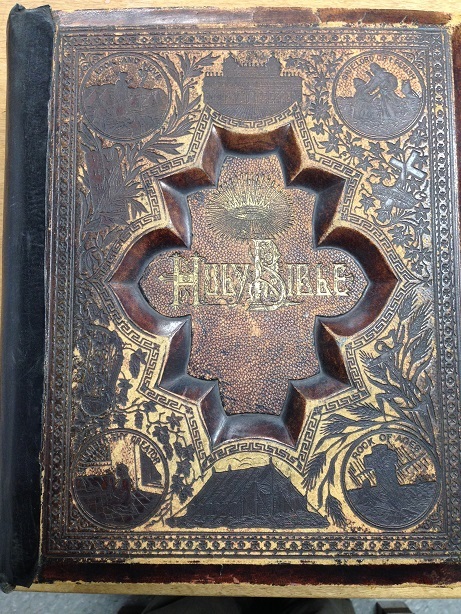 This Bible was a donation from the First Presbyterian Church, which closed in 2002. The bible is on display in the Museum along with several otherdonated items. Items donated include a number of pews, the pulpit, the church's small pump organ, offering plates, a roll call board, books of praise and hymnals, and a pulpit chair.